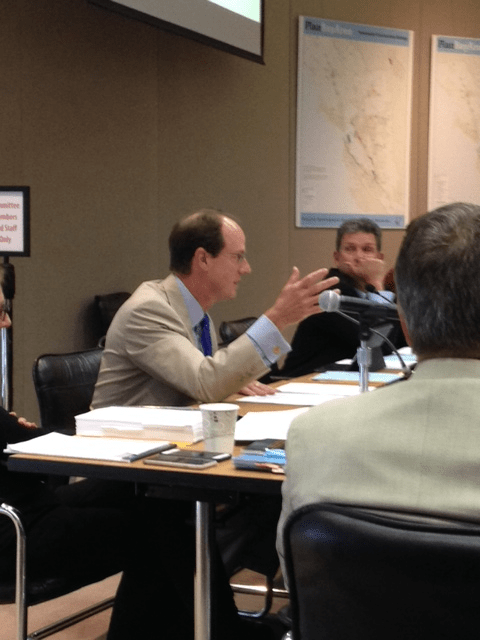 OCTOBER 11, 2015 — It now looks as if the open power struggle between the Association of Bay Area Governments and the Metropolitan Transportation Commission will persist for at least a few more weeks. 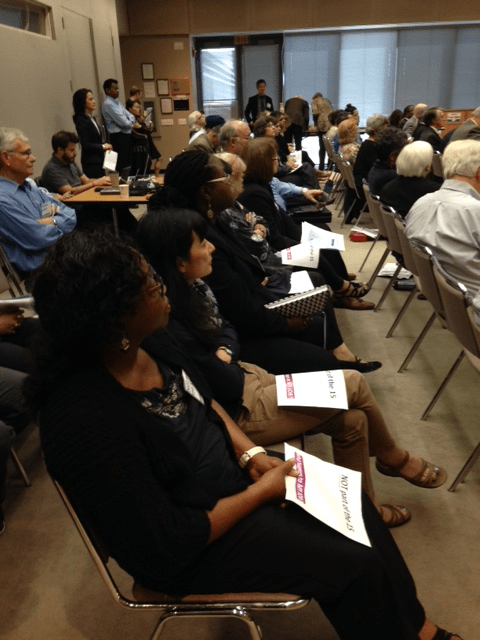 At MTC’s standing-room-only meeting on September 23, Executive Director Steve Heminger laid out his controversial proposal for his agency to absorb ABAG’s land use planning staff—a shift whose implications for democratic governance and social justice in the Bay Area are vast and troubling. MTC commissioners paved the way for that shift on June 24, when they voted to fund ABAG’s planning staff for only the next six months instead of the customary full fiscal year. No action could be taken on the 23rd, because the MTC chair, Santa Clara County Supervisor Dave Cortese, had placed consolidation on the agenda as an information item. MTC will act on Heminger’s proposal, detailed in a white paper dated September 18, at its October 28 meeting. Opposition to both the truncated funding and the proposed consolidation has continued to mount. On September 17 the ABAG Executive Board voted to ask MTC to fund ABAG planning staff for the full FY 2015-16, to terminate the proposal for consolidation of the two agencies’ planning staffs, and to join ABAG in a discussion about a restructuring or merger. Supervisor Steve Kinsey "listens intently" at a Supervisors Meeting. Mr Kinsey is Marin's ONLY representative on the MTC. A merger would concentrate all power in Marin in this one man who wants to urbanize Eastern/Southern Marin.